Here’s a 3M Certified full car hauler wrap we recently completed for Mann Merchant processing, out of Bethlehem PA. 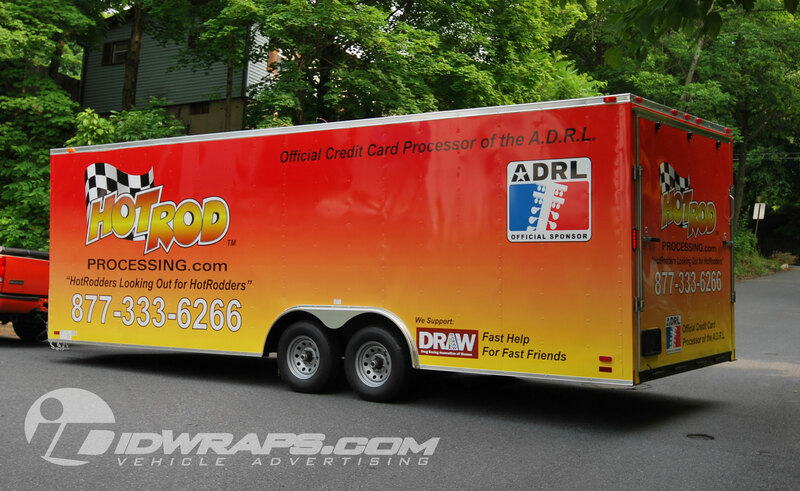 This car hauler trailer may be regularly seen at automotive events, being used to not only haul cars, but to be an unavoidable billboard to thousands of folks each weekend. For a great rate on credit card processing, visit www.hotrodprocessing.com. Get your free trailer wrap quote at www.idwraps.com. Bethlehem PA is located near Allentown, Easton, Coopersburg, Quakertown, Hellertown, Phillipsburg, and Nazareth PA.
Pictured below is our second wrapped portion of the Marshall fleet, a 10ft Chevy Savannah cutaway van wrap with a Spartan service body. We employed a sectioned print strategy which almost elimates any voids in wrap coverage in the service door areas. 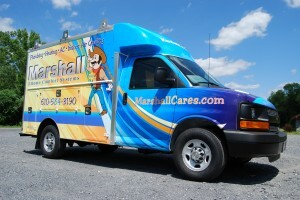 These vehicles require a ton of precision trimming & make fantastic billboards for our clients, especially HVAC businesses in the Philly area:) See more service vehicle wraps at: www.idwraps.com. Click on image below for a closer look. Scott lifer of No Worries Cleaning came to us with a fleet of three Honda CRV vehicles and a Dodge Caravan. Scott was looking for a clear message for his business. 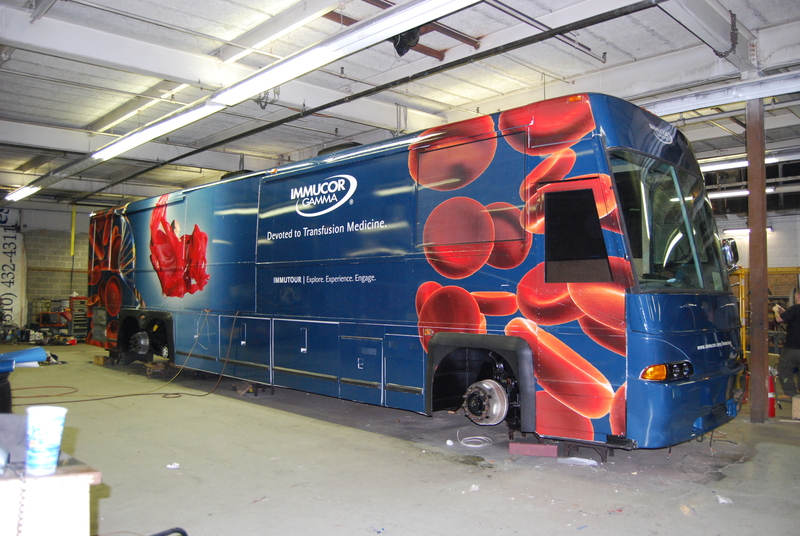 All 4 received Fleet wrap advertising. The bumpers on the CRV’s & the Minivan feature a textured plastic surface, which is nearly impossible to adhere any car wrap film to it reliably. Avoiding coverage in these areas provides a long lasting install & saves our clients a few hundred dollars off each car wrap. Here’s an example of their Dodge Caravan Wrap. No Worries is based in Northeast PA near Stroudsburg, Sciota, and Brodheadsville. They are also seeking to franchise their business. See more Caravan wraps at: www.idwraps.com. 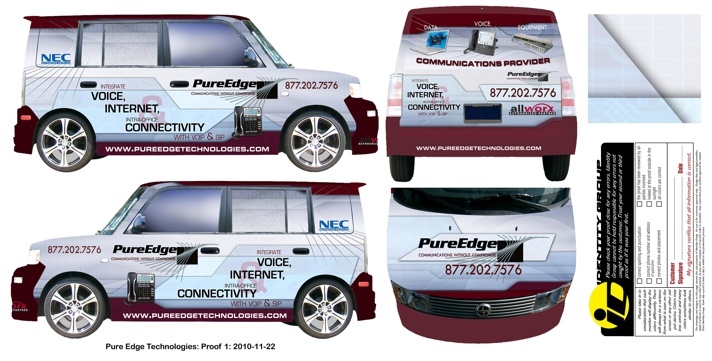 Graphics approved for the Pure Edge Scion XB wrap. 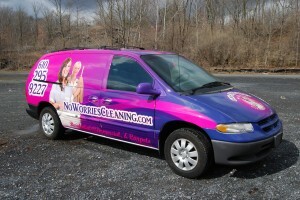 This is a great vehicle for car wrap advertising. 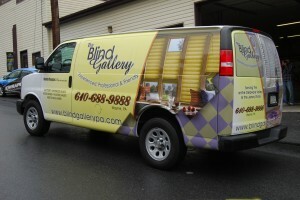 It’s square profile reduces install time & money for a vehicle wrap client. Keep an eye out for finished pics and a music video on this project. 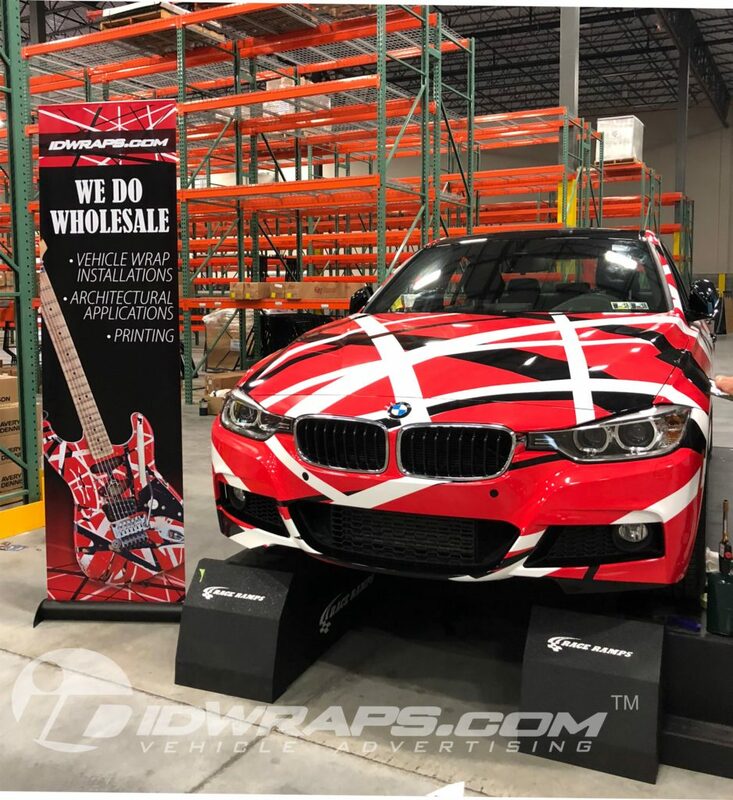 www.idwraps.com.